The Panasonic RP – HC 101 noise cancelling headphones is the ideal choice for an ultra – compact and super – thin monitor style headphone. With noise cancellation up to 83%, has excellent clarity and is truly comfortable to listen. The Panasonic RP – HC 101 noise cancelling headphones have very less warranty only of 90 days. Not only this, the headphones are not even water resistant, hence this sometimes poses as a problem. The new Panasonic RP – HC 101 noise cancelling headphone is perfect for travel purposes. With a mute as well as volume control switch, the headphones have a frequency response of 18 Hz to 24 KHz. With a protective carrying pouch, the headphones have a foldable design for easy storage. Having plush comfortable ear pads, the headphones can also be used for long hours. Panasonic has always bringing out new technology headphones. 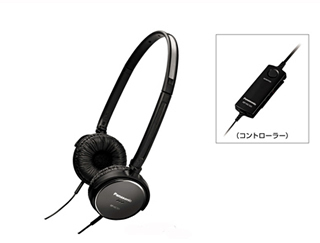 The latest headphone from Panasonic’s kitty is the RP – HC 101. This has a unique feature of noise cancellation. Blocking off environment noise for about 83%, the headphones are perfect for noisy ambience. The headphones can very well be used for travelling especially in airplanes. The headphones come in a protective pouch that is ideal for being carried around. The headphones come with a single set of AAA batteries that helps to power the noise cancellation. With an on / off volume control switch on the cord, the headphone can be operated with ease. In general, people like to wear on – ear headphones for longer period of time in comparison to the over – the – ear style or ear buds. This is because, usually, this style causes ear fatigue. But in case of Panasonic RP – HC 101, the cushioned pads on the headphones can hardly be noticed. The thin metal headband makes the headphones super light in weight. The headphones are easy to carry in small pouch that gives them protection. The headphones are extremely light in weight and can easily be folded up the headphones also come with the airplane plug adaptor. Hence, you can easily listen to music even in an airplane. Priced at less than $ 100, the Panasonic RP – HC 101 noise cancelling headphones are a part of their Slimz range is definitely a treat for your ears.